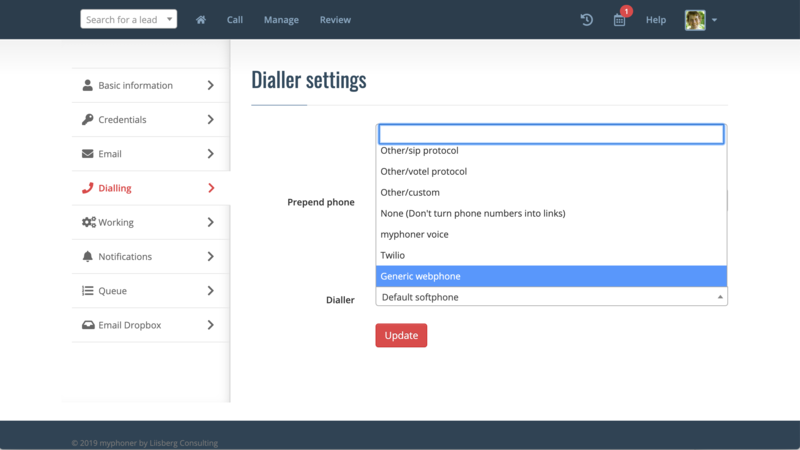 Go to your preferences in myphoner, and under "Dialing" chose "Generic webphone". Then click on the big red "Update" button. Once you open a lead you'll be asked for a password for the dialler - type in or paste the "SIP Password" from the OnSIP configuration, and tick "Remember password" if you do not share your computer with others. 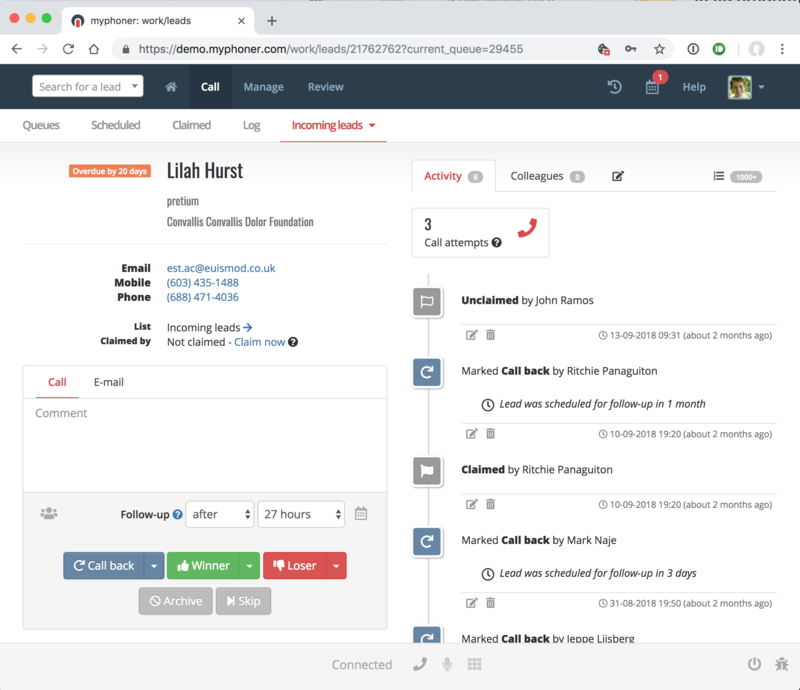 The dialler will appear in the bottom of your window, and you can dial by clicking the phone number of the lead or the phone icon in the dialler (the latter will call the first phone number of the lead). We depend on your feedback - both positive and negative. So please get back to us once you have tried it out and let us now if it works for you, and what you would like to see improved. Please note that call quality depends on both the quality of your Internet connection and your provider and myphoner has no influence on that.